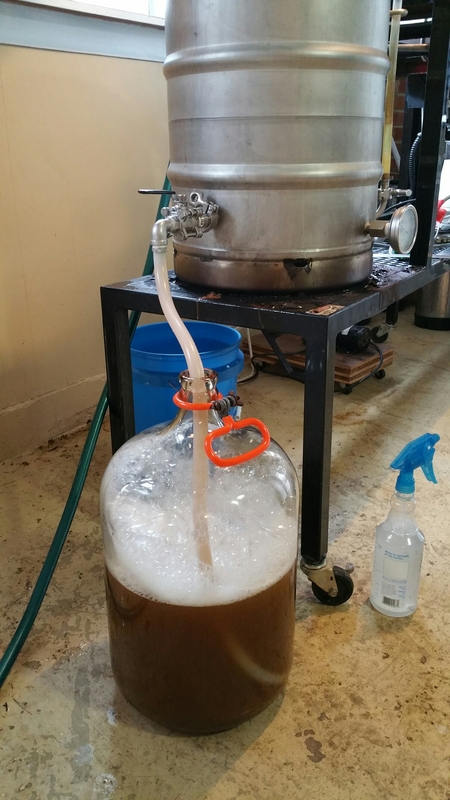 I wanted to try my hand at a quick method for Making a sour beer. 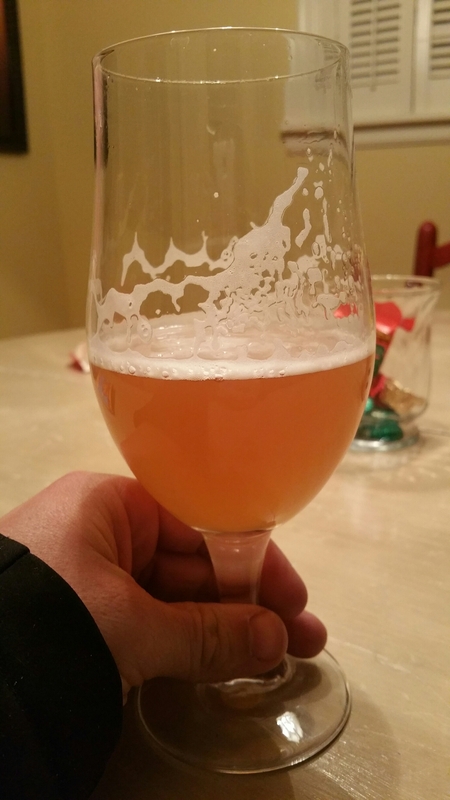 After a lot of research I came to the conclusion that I’d try the sour wort method for a Berliner Weiss. 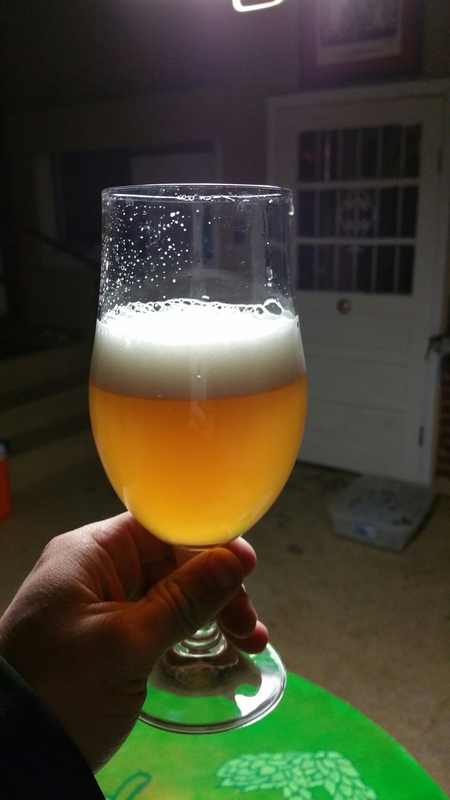 I decided to try WLP672 White Labs Lactobacillus Brevis as my wort souring bacteria. I read that it produced more lactic acid than the White Labs WLP677 L. Delbruecki. I made a 2L starter of 1.036 SG wort and held it above 100F for 5 days before pitching it into 6 gallons of 1.040 wort. The 6 gallons of wort was the second runnings of a pale ale with DME added. 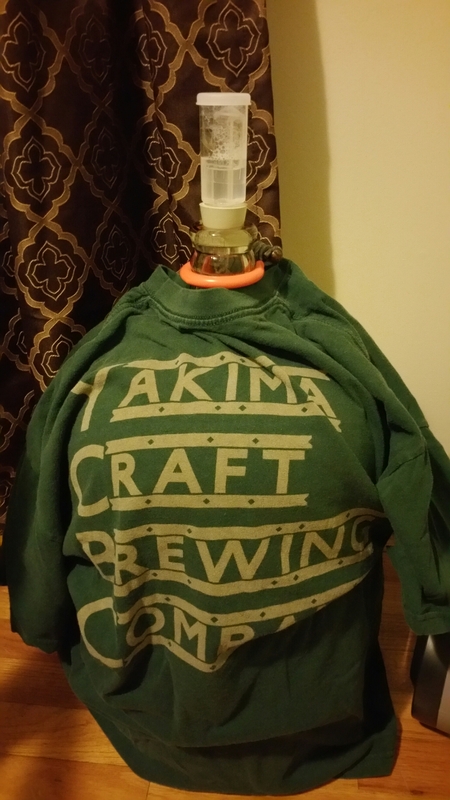 I kept the temperature of both the starter and the souring wort above 100F using heat tape. 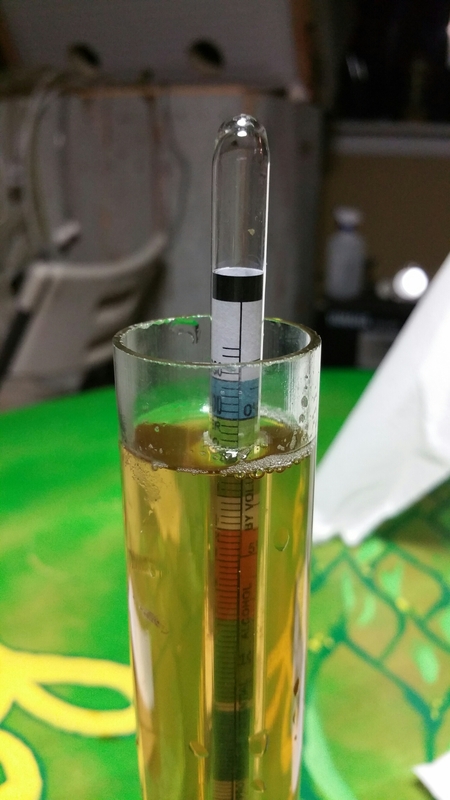 I began taking the pH reading of the wort attractive a few days after souring and was surprised to see that it wasn’t dropping as quickly as anticipated. It ended up taking 11 days to get to the pH of 3.43. I decided that was low enough since I would be using Saccharomyces as the primary fermentation strain. 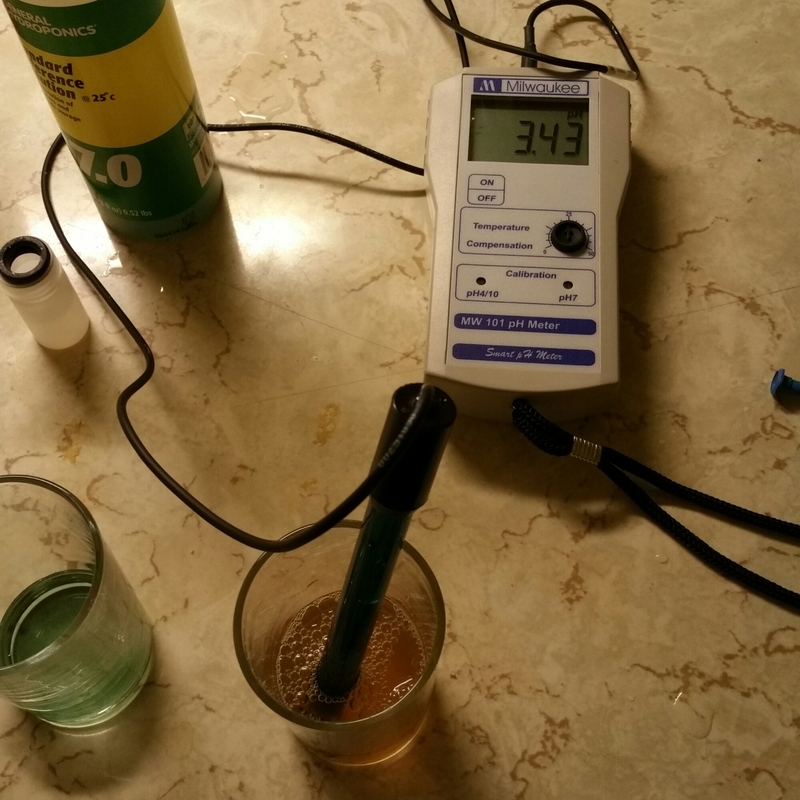 Supposedly Saccharomyces don’t do well below an acidity of pH 3.4. The wort has a very clean tart taste with mild sourness. It will be interesting to see how it develops as all of the sugar is fermented out. I siphoned the sour wort into the boil kettle and boiled for 15 minutes with enough hops to achieve 5 IBUs. I chilled the wort to about 68F and pitched a 1L starter of WLP029 German Ale yeast. The OG was at about 1.035. The beer is currently bubbling away happily in the spare bedroom at about 70F. 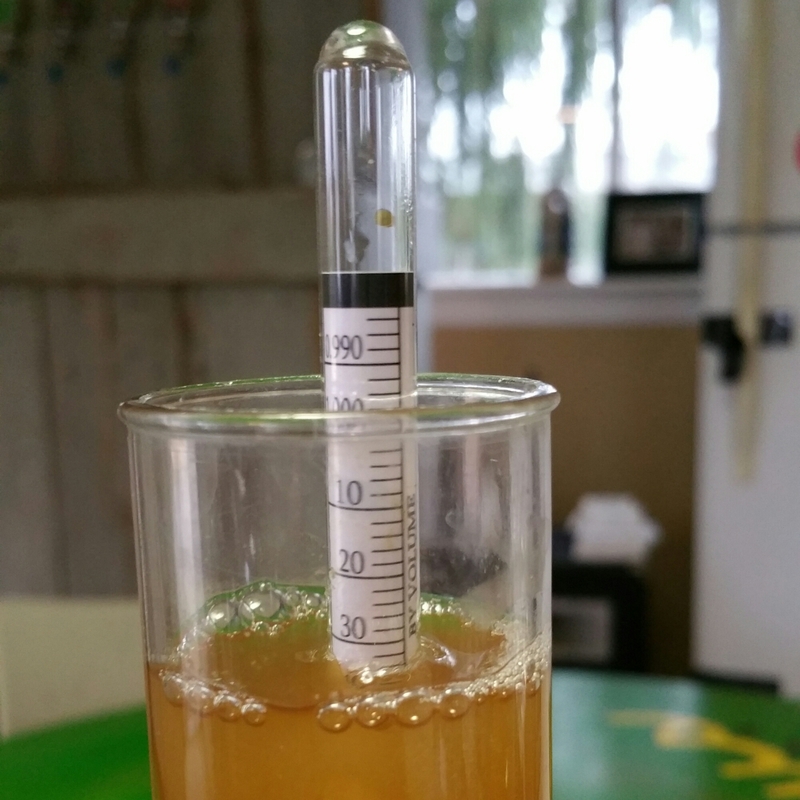 1/4/15 FG 1.009, Tastes great with a nice tartness up front. It stops at the front of the tongue and doesn’t hit you in the back of the cheeks, so it should be very refreshing. I get some slight fruitiness from the german ale yeast and a little bready maltiness. 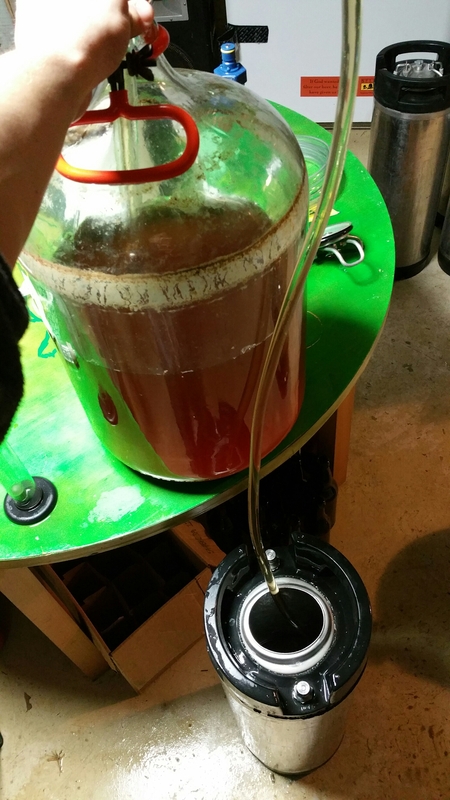 Kegged 1/4/15. Set at 25 psi and 40 degrees F for a week. Large fluffy white head that dissipates quickly but leaves a nice delicate lacing. Golden in color with bubbles rising from the bottom of the glass. Effervescent. A nice clean tartness up front but nothing crazy, maybe a little low for the style. Nice and clean with fruity and cereal notes and a dry finish. I brought the beer to the local homebrew club meeting. Most agreed that it was a good clean beer with the right taste for a berliner, but those who have had traditional german Berliners said it was not nearly tart enough. Overall I am pleased with the way this came out and will enjoy drinking it as the temperature rises this spring. For my next quick berliner I well either try the omega labs lacto blend or make a culture from crushed grains to get the tartness to the proper level. I’ll also do this as an all grain beer the next time.